West Brom boss Alan Pardew believes Albion must remain realistic in their hopes of keeping Jonny Evans. The Baggies rejected bids from Arsenal, Leicester and Manchester City for Evans in the summer and are braced for more interest during next month's transfer window. 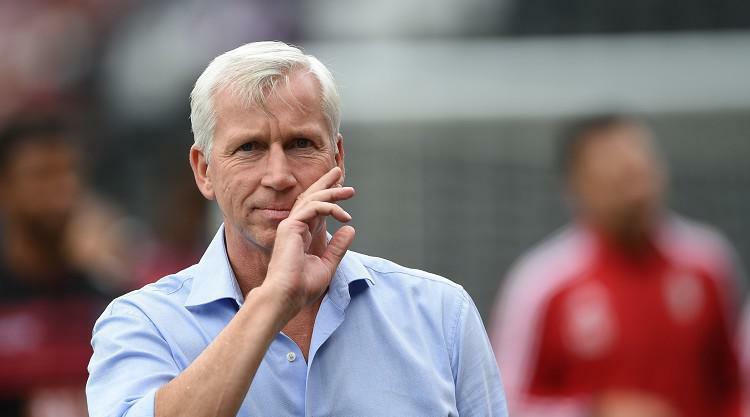 Pardew said: "I think you have to be realistic in these situations. Jonny is a top player, other clubs were interested in him in the summer. We know that and he knows that, we have to be intelligent and straightforward dealing with it. "He is under contract for West Brom. He knows he can have those conversations (about a new deal) with us. We will give him the deal we can possibly go to on the financial side and length of contract, but that might not be the whole thing with Jonny. "The scrutiny can impact on you, your performance can go off, he has been up for the battle though. He's not caused me any kind of negativity that sometimes players can do. He gets a big tick in my report." The Baggies go to Stoke on Saturday second bottom in the Premier League and two points behind their struggling hosts having failed to win in the last 16 league games. Pardew is yet to win after four games in charge and knows victory at the bet365 Stadium is vital. "Of course, because it is a game where both clubs want to go into Christmas with a win. The fans have been terrific in making noise and we haven't rewarded them with a win," he said. "We have been close but need to get over the line. Stoke in their position will also be very determined. If we win we go out of the relegation zone with West Ham playing Newcastle. It is a great incentive for us." Nacer Chadli (hip) and Matt Phillips (hamstring) are training and expected to be in the travelling squad with Craig Dawson (knee) ahead of schedule in his recovery but James Morrison (Achilles) is out.